This method can be used for any image, but it is particulary useful to create physical model of terrains; in fact Luca Bezzi took inspiration from topography, as he explained in comments. 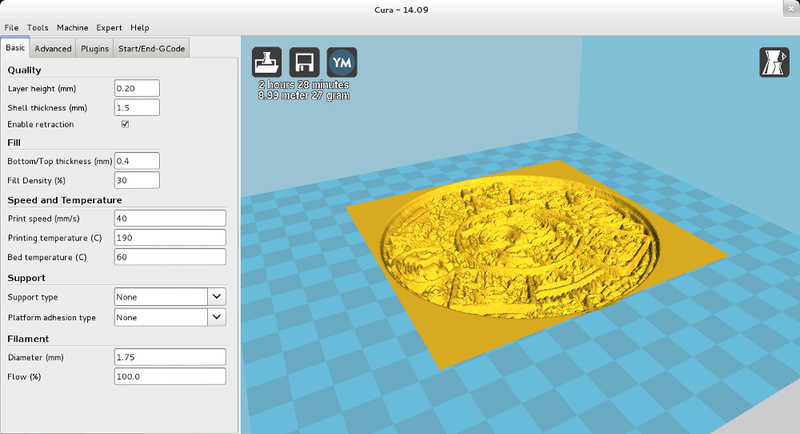 Anyway, today there is a faster and more precise method to do the same thing, as reported in Impresoras3d.com; a web-app, called Terrain2STL, that can can convert a Google Map into a 3D printable file. The app has been created by ThatcherC, is Open Source and available on GitHub. Terrain2STL is very easy to use. You just have to type http://146.148.78.19/ on your browser; you will see a physical Google Map, and, on the right, some tools. Once you have defined the area you want to print, you can click on "Center to view" to set the center of the area (a red rectangle) on the central point of the screen. Then you can adjust the dimension of the area using the line called "Arc Second/Division". Once you have set the area, you just have to click on "Create .stl file". A limit of this app is that you can not draw an area crossed by a grid line (in this case you will see an error message: "Something went wrong: you may be spanning a grid line"). Anyway, this problem can be easily solved dividing your area in 2 parts and saving them separately. Opening the generated .stl file with NetFabb Basic it may happen that the danger symbol appear, because the 1st time the software may not be able to define the volume of the object; however, you can just click on the "automatic repair" button (the red cross) to easily solve the problem, and have a clear file. In this post I'm going to summarize the work of identification of vegetal non-woody macro remains from the so-called “Battaglia excavations” (1937) in Ledro lake pile dwelling (Tn, Italy). 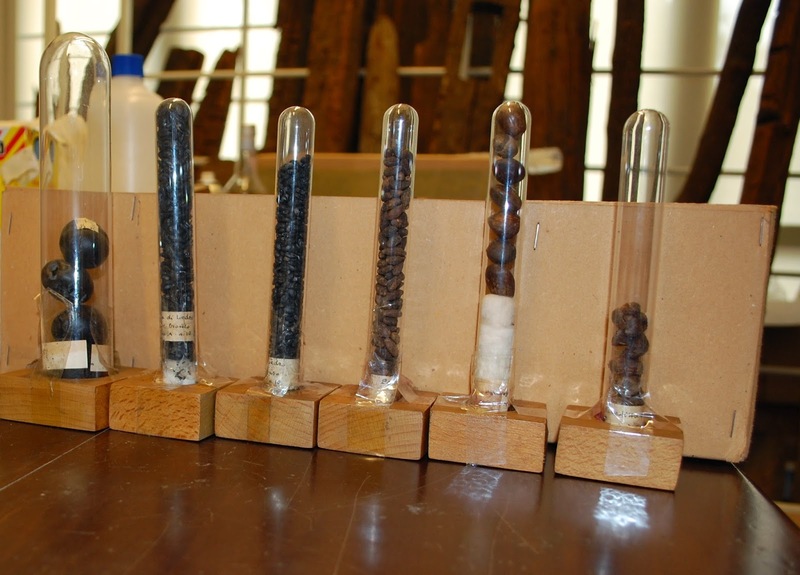 The materials are stored in the Museum of Anthropology of Padua and appear to be fairly preserved. They are in most cases charred, rarely waterlogged. For this reason the preservation status (and therefore also the morphometric variation and the color) is not uniform. The work of identification is preliminary to future aDNA studies, in collaboration with Edmund Mach Foundation. In the autumn of 1929, when the level of Lake Ledro was appreciably lower than usual, after thousands of years a lake-settlement re-emerged into the light of day. Along the southern shores of the lake a forest of wooden piles (10.000) broke the surface, bearing all the marks of their long immersion. At first they were thought to belong to some long-forgotten sluice built to control the level of the lake, but soon they revealed to be the remains of the largest prehistoric site to have been uncovered hitherto in Italy. Then the water-level rose once more and all was submerged, until the drought of 1936-37 lowered significantly the level of the lake and enabled further excavation to be undertaken. These are the excavations known as “Battaglia”, from the surname of the archaeological director. These first researches, made by the University and the archaeological service of Padua, saw the continuation in years ‘50 and ‘60. In the 80s, the Natural Science Museum of Trento realized campaigns of excavations with techniques previously not available, following the stratigraphic criteria and adopting scientific naturalistic methodologies, that allowed the experts to agree in thinking 2,200 BC to 1,350 BC the dates of these pile dwelling life. For our project (December 2014), the identification of macro remains has been accomplished to the naked eyed and with the help of a microscope for the difficult ones. For the comparison, illustrated volumes, paper and digital atlas (such as the Digital Atlas of Economic Plants in Archaeology of the Groningen Institute of Archaeology – GIA, University of Groningen and of the Deutsches Archäologisches Institut – DAI, Berlin) have been used. In the analysis, approximately 750 remains have been studied: 533 certain, 24 uncertain and 194 undetermined. It is possibile to observe a lot of edible plants, some of them cultivated, others wild. Among the cultivated species we can recognize wheat (Triticum monococcum/dicoccum L.) and barley (Hordeum sp. L.). Their seeds are really abundant (in some cases there are also fragments of ears) and show signs of combustion. Then there are fruits of hazels (Corylus avellana L.) and oak/holm oak (Quercus sp. ), certainly used in alimentation. There are also some fruits belonging to the family Rosaceae, but it wasn't possible to determine gender and species. The small size allow to rule out the possibility of wild apple (Malus domestica) and the spherical shape is not suited to the wild pear (Pyrus communis L.) reported by Battaglia in 1943. One of the most plausible hypothesis is that it is Sorbus sp. 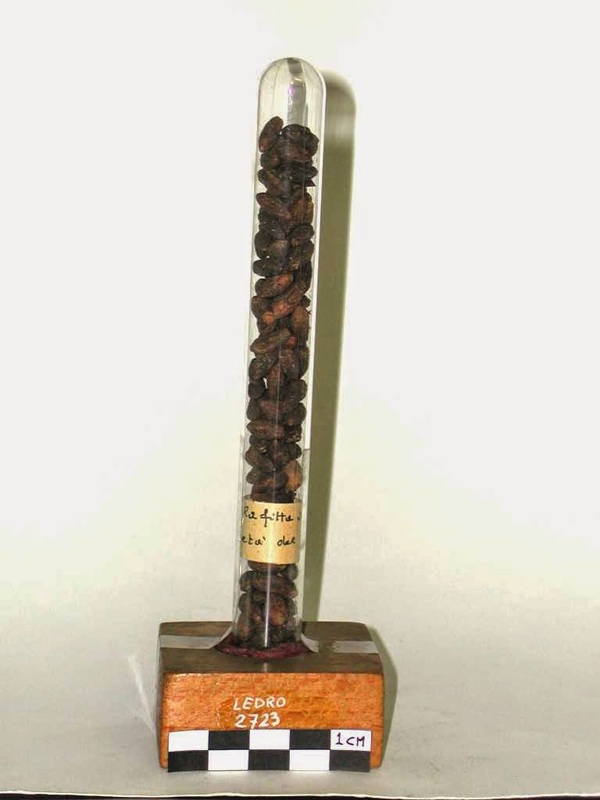 L.
The high presence of dogwood (Cornus Mas L.), of which only a part seems to have been preserved at the Museum (Battaglia wrote of an entire layer composed of these seeds, while those remaining are only a hundred), does suggest its use in a massive way in the food field. One hypothesis, with archaeological and ethongraphic evidence, is that the dogwood was fermented to make a low alcohoolic drink. In addition to fruits and seeds, in the collection we can find some galls of oak (Quercus sp. L.). The gall, or cecidia, is a malformation that may be due to several causes; these galls seem to be originated by an insect, the Cynips quercusfolii. These remains may have been gathered by the lake-dwellers to derive the tannic acid, in which are rich, a substance used in tanning. Galls of Quercus sp. L.
Extremely fascinating are the plant remains identified as mixtures of cereals, a kind of "dumplings" made by kneading a cereal flour coarsely chopped. The morphology is rounded, the "nuggets" seem to be made by flattening the mixture on the thumb and then cooked on hot stones (another theory, proposed by botanist Della Fior in 1940, which for now is to be considered merely hypothetical not being proven by scientific analysis, is that the internal cavity is the space for a filling of some kind). The aspect relating to the alimentary economy is really meaningful, in particular the relationship between agricultural practices and gathering of wild vegetables. We can assume a certain balance in the use of both resources. Indeed, the environment offered many food resources that were certainly exploited by the inhabitants. The groups of herbaceous plants that characterize the wet grasslands and ruderal sites still provide an alternative and complementary source of food. This project has been also an opportunity to make the first tests on geometric morphology techniques in archaeobotany using open-source softwares as MorphoJ. In future we will try to develop and make available these methodologies. As many of you know last week a team of the University of Leicester have publicly revealed to have discovered, in all likelihood, the tomb of Richard III. The results seem comforted by the analysis of mitochondrial DNA, while the discrepancy on the Y chromosome could be explained by a false paternity. The study was completed with a forensic facial reconstruction of the king, performed by the experts of the University of Dundee, led by Caroline Wilkinson, Professor of Craniofacial Identification. Given the opportunity, I decided to publish here our state of the art on this particular field (forensic facial reconstruction applied to archeology), publishing the presentation that I gave during the study day in honor of Prof. Franco Ugo Rollo (Ascoli Piceno, November 26 2014). A remember of Franco Ugo Rollo, professor at the Camerino University. It was not my fortune to know personally Prof. Rollo, but his name is surely well known also in my discipline (archeology). "Digital faces: new technologies for the forensic facial reconstruction of the historical figures". The presentation intend to be an overview of the digital methodologies of FFR with FLOSS, developed in the last two years on the blog ATOR with a spontaneous contribution of different authors. The traditional work-flow involves several operations: 3D scanning the skull, preparing a replica, performing the anthropological analyses, placing the tissue depth markers, reconstructing the profile, modeling the muscles and skin, calibrating the model with the available sources and dressing it. The same operations are necessary for the digital work-flow. Our main work has been to turn the traditional process into a digital one, using only FLOSS. There are different technology to obtain a 3D digital copy of the original skull. The main two we are using are: SfM - IBM and X-ray CT. IN 2009 Arc-Team perform the first test in applying SfM - IBM with FLOSS to Cultural Heritage, during its participation at the TOPOI excelent cluster of Berlin. In order to validate the digital method of FFR, some unconventional procedures (derived from the hacker culture) have been adopted. With reverse engineering techniques, based on SfM, it has been possible to digitally replicate the process of past FFR projects and to compare the results. The anthropological validation has been performed comparing the result of 3D models obtained with SfM - IBM and the relative results coming form 3D scan (the observed distortion remained in the range of 1 mm). The main software we used for DICOM data is InVesalius, mainly developed at the Renato Archer Information of Technology Center, an institute of the Brazilian Ministry of Science and Technology. Also in this case, the process was validated with unconventional procedures derived from hacker culture. With reverse engineering of CT videos it has been possible to rebuild DICOM data and the 3D model of different skulls, replicating FFR projects and comparing the results. It is necessary to check and validate the protocol with a continuous methodological comparisonwith all the available resources. For this reason, we tried also the FFR of Henry the IV, a project in which Prof. Rollo was involved, rejecting (with other scholars) the attribution of the mummified head to the French king. Our test in this case is just an experiment, starting from low quality data, but it is a good example to show some benefits of digital FFR, like the possibility to quickly modify the reconstructed face (e.g. closing the mouth in order to perform superimposition with the death mask), an operation not so simple with tangible models. 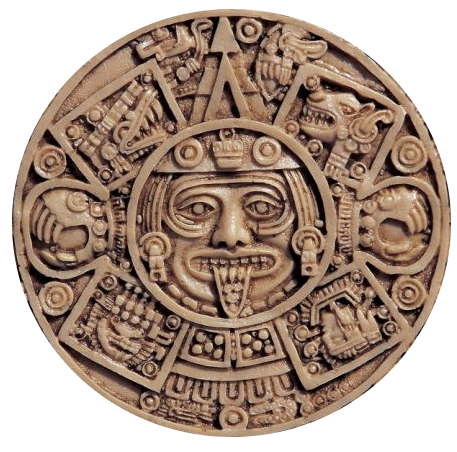 Once obtained the 3D model, digital anthropological analyses do not differ from traditional ones. In some cases, a virtual restoration of the model is necessary. The solution comes from symmetrical and boolean operations of 3D modeling software (Blender). 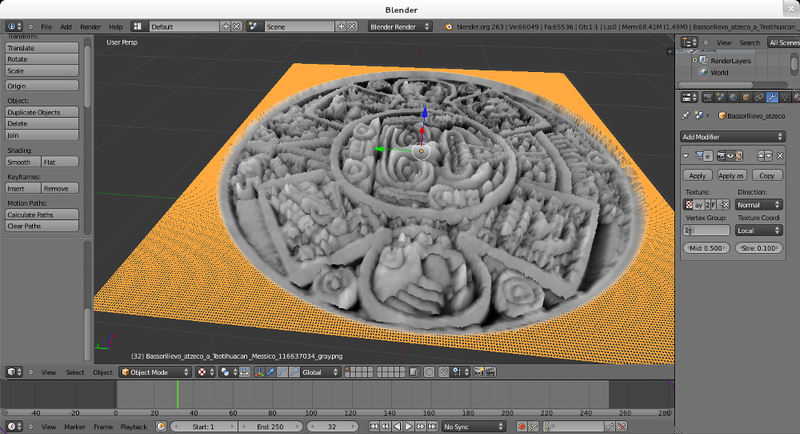 The whole process of 3D modeling is actually performed in the software Blender. The first operation is to fix the 3D skull on the Frankfurt plane, which replicates the head position of a standing human figure. Than tissue depth markers are placed. The software keeps automatically the correct normal of each marker. A second step is the profile reconstruction. For nose shape we refer to G. Lebedinskaya method. The validation of the method came mainly from the comparison between FFR models and the facial DICOM data of living people, a simple simple with digital techniques, using the software CloudCompaer. All this experiment were conducted ans blind test (the artist did not know the identity and the fisionomy of the people). According to the blind test, main deviations were detected on the cheeks. Like other 3D operations, muscles modeling has been performed in Blender. The technique hes been continuously rationalized and optimize. For instance, once the main muscles are modeled with metaballs in Blender, the result can be reused in successive reconstructions through an anatomical deformation. like the "sculpt mode" in Blender. Again the technique has been optimized: In order to simplify and speed up the process, a neutral facial model has been created. The neutral model can be anatomically deformed on different skulls to meet gender and age dimorphism. At the same time, the neutral model can be deformed to meet the anatomical criteria which determine the individual dimorphism. After the reconstruction process, two main models are defined: one with hair and one hairless. Thanks to the latest developments of the software MakeHuman it is now possible to further simplify and speed up the technique. Our actual research is following this direction. The first tests carried out in 2014 have yielded positive results, thanks to the new feature which loads base raster images. The software is also perfectly compatible with Blender. A further development of the protocol will allow to obtain high quality forensic facial reconstructions, in less time, without the need to master the techniques of 3D modeling. At the end of the FFR process, the final model is calibrated with historical, archaeological and medical sources. In case of historical reconstructions, the model appearance (hairstyle and clothing) is calibrated depending on era and culture, while the physical characteristics (color of hair and eyes) are set basing on the ancestry. The 3D printing technologies allow the materialization of the model with different levels of detail. The 3D scan was carried out on the bronze cast performed by R. Cremesini in 1981. The cast done by R. Cremesini is very important, because it derives from the temporary anatomical reconnection of the skull and the jaw, which were separated since the first survey of the tomb (1263). 3D scan has been performed with the SfM - IBM software of the archaeological GNU/Linux distribution ArcheOS. Digital FFR allows to further define the details of the model to reach a more realistic result. Thanks to the collaboration with the Centro de Tecnologia da Informação Renato Archer - CTI (Ministério da Ciência and Technology do Brasil) the model was printed in 3D. When you start a new research you know where your path begins, but you do not know where it will end (and where it will take you). As many of you knows, we work also with 3D printing of archaeological objects: here (1 and 2) is the two post +Leonardo Zampi wrote about the Taung Project and here is a post regarding some Augmented Reality applications, in one of which a 3D printed skull was used (look the first video). Most of these experiments are connected with the open source exhibition "Facce. 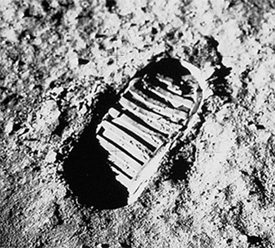 I molti volti della storia umana" (please, do not forget our crowdsourcing campaign: send us your images!). For this event, whose English title is "Faces. The many aspects of human history", we planned to used 3D printed objects for different Augmented Reality applications and to expand the accessibility to the digital exhibit for the visitors (reducing the restrictions connected with disability). This post reports an preliminary overview of the event (done during the European Academic Heritage Day 2013), in which are presented the main topics of the exhibition, the problems and the solutions we planned to apply (sorry, the slides are in Italian; I will translated the text ASAP). Today, working on a new research for this exposition, I tested different possibilities to reconstruct a 3D from a unique image. Normally our (Arc-Team) work-flow starts with a 3D model obtained from Structure from Motion and Image-Based Modeling (using different software) or from x-ray Computer Tomography (like for the paleoart or mummiology projects), but in archeology can happen to use Single View Reconstruction techniques when there are no other solutions. This post of +Cícero Moraes is a good example of a reconstruction in Blender based on perspective and vanishing points. Of course this technique is optimized for architectural documentation of structures, but is almost unusable for more irregular objects. To avoid this problem I studied different possibilities and I decided to use the same software, Blender, but in a different way. I looked in internet for an archaeological picture that could meet my requirements: not too simple, but with a correct light exposition. 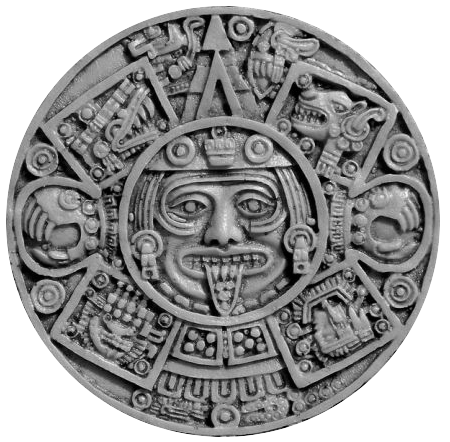 My problem in finding a good base image comes from the fact that the archaeological artifact photography has codified rules and normally the light source is located in the upper-left corner, otherwise bas-relief (convex) would appear as counter-relief (concave) and vice versa (due to the Hollow-Face optical illusion). After a while I found this image, which has an almost correct light exposition (sorry, I do not know anymore the source of the photo and I did not find informations about the author). I modified the picture with GIMP, in order to obtain a grayscale photo, than I imported it in Blender. There I used the "displace" modifier and I automatically obtained a fast 3D of the object (of course nothing comparable with SfM and IBM technique, but enough for my SVR needs). After some additional smoothing operation in Blender (you can directly use the related modifier), the model was ready to be saved as an stl file, loaded in Cura and printed in 3D. At this point I was ready to adapt the entire process to my needs in order to work for the exhibition "Facce", but here is were my research took a complete different way. On my desk was lying a local newspaper in which was a photo of the Italian astronaut Samantha Cristoforetti, who is actually on board the International Space Station (ISS). Dr. Cristoforetti was born in Milano, but her family is originally form a town (Malé) very close to the one in which I live (Cles) and this is the reason why local press is following her scientific mission very closely. Reading the article I was thinking that it would be nice to print in 3D something that could be a tribute to her work and to the whole mission: something related with space exploration and archeology. Suddenly in my mind appeared a black and white picture, which probably most of you know and that dates back to July 20 1969, so I decided to test the process on this image and see the result. The video below shows all the work-flow and is a new videotutorial for the Digital Archaeological Documentation Project. Of course the result has no metric, nor topographic value and it is more an artistic reconstruction than a 3D documentation, but this time it was just for fun and for a tribute to woman's contribution in space exploration. BTW on board the ISS astronauts are currently testing 3D printing in space (Made in Space). If you want to print directly the .stl file I did, you can download it at this link. Otherwise in this post you can find all you need to do the process by yourself.